Qulitativ high-quality collet chuck with maximum run-out accuracy made in Germany. 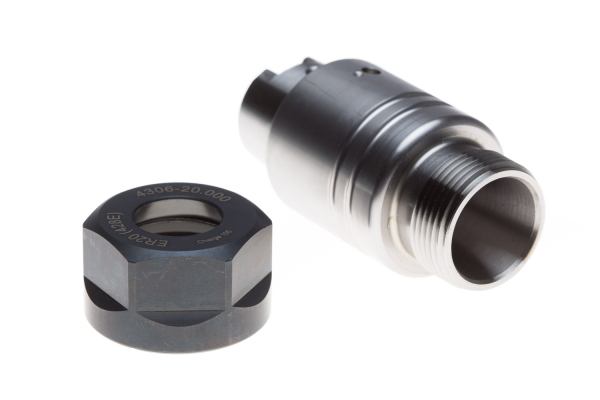 This collet chuck is designed to accommodate the appropriate ER 20 collets for the respective tool diameter in the Teknomotor HSK32 QTC spindle. The retaining nut is included. The right collet for the respective tool diameter is still required.